You like things to be authentic. You appreciate true craftsmanship and attention to detail. You believe the objects in your life must have soul and a higher purpose. You want to be free of constraints. 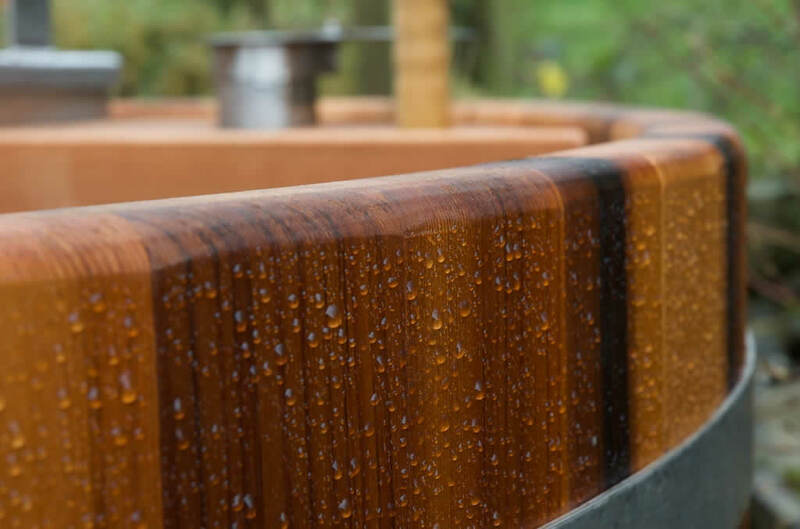 All of these things are embodied in a Forestflame freshwater wood-fired hot tub. - fresh water means no nasty chemicals. - western red cedar & stainless steel only. "Thank you so much for the wonderful hot tub. Having my tub installed by the same people who designed and built it, gave me great confidence and the whole process couldn't have gone more smoothly." "What can I say! The kids love it. Our friends love it. We love it!" "Thank you for a trouble-free installation. The hot-tub has become a real draw for our self catering guests and an added source of income." "Thank you Peter & Nick for creating such a beautifully crafted asset to our garden. You should be very proud!"